What is dog daycare and what can I expect? 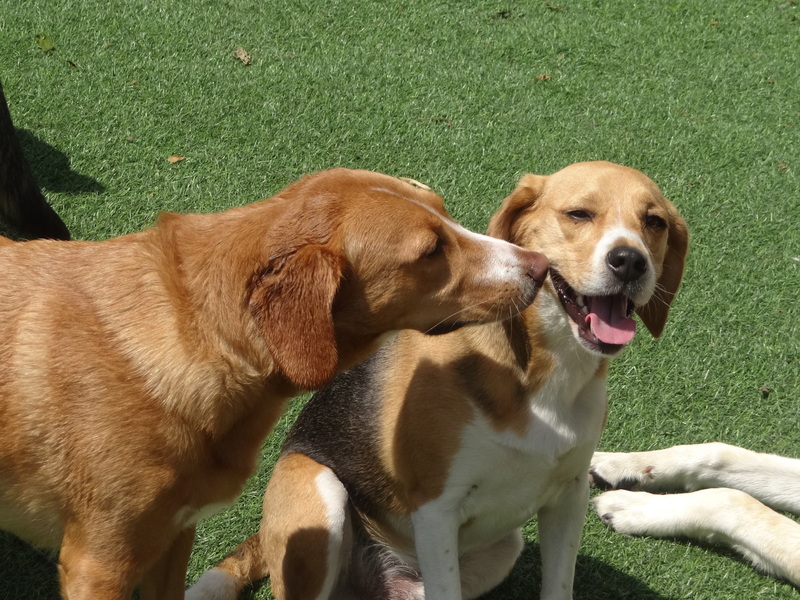 Dog daycare is a place where dogs come to interact and play with other dogs. This allows your dog to get needed exercise and learn to socialize with other dogs. What should I bring to daycare? Just a collar, leash, and of course your dog! Please do not bring your dog in on a retractable leash (Flexileads), pinch, or prong collar. Also, no toys or treats are allowed in daycare (treats are ok for boarding). Should I bring food for my dog? Not for daycare. Because our staff are needed to watch the daycare it is unsafe to have a staff member leave the daycare to feed a dog. Also, healthy dogs do not require multiple meals daily. We recommend feeding before and after daycare. If your dog is boarding with us please bring enough food to feed them for their stay. We provide food at an extra charge. Kennel Cough is an infectious illness caused by the bacteria Bordetella Bronchiseptica. An infected dog will have a coarse, dry, hacking cough and may vomit white frothy fluid from persistent coughing. Most cases are not serious and clear on their own in 1-2 weeks. 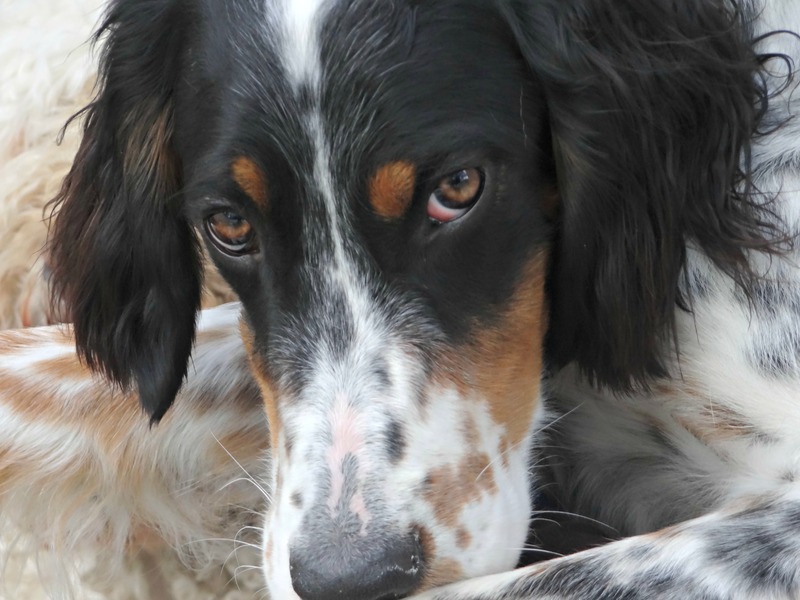 Your veterinarian may also choose to treat an infected dog with antibiotics. Despite having the most sanitary facility and having your dog vaccinated for Bordetella, dogs can still catch “Kennel Cough”. The label “Kennel Cough” is misleading because it is not the building but the dogs that spread the illness. A dog can be infected with kennel cough anywhere other dogs are present: dog parks, pet stores, veterinary clinics, or kennels. Please watch your dog and refrain from bringing them in for any services if they have a persistent cough. I am interested in having my dog attend daycare or boarding. What do I need to do? Bring your dog for a temperament test between 6:30 am & 8:00 am Monday – Thursday and don’t forget your shot records. If your dog passes the temperament test you can do daycare or boarding anytime. There is no charge for the temperament test but your dog will spend at least 6 hours in daycare and the cost is $29 for the daycare. Do I have to make a reservation for the temperament test, daycare, or boarding? The temperament test and daycare are done on a walk-in basis. You do not need to call ahead. We will always board for dogs that have passed a temperament test regardless of the amount of notice we receive (you can board with no notice) however this is subject to availability and we tend to fill up around certain holidays (Memorial day, July 4th, and Christmas). How much is boarding and how are the charges calculated? Boarding is $37.50 per dog per night. This charge is for one dog to stay from 12 noon on the drop off day until 12 noon the next day (24 hours). The charges are always from noon to noon. Check in is anytime after noon to closing on the drop off day. Check out is anytime from opening to 12 noon on the day of check out. What if I need to drop off before noon or pickup after noon? Early drop off and late pick up are available for an additional $17.50 each ($35.00 for both) to cover the extra time your dog is with us. Early drop off and late pickup must still occur during business hours. What if I need to drop my dog off before you open or pick up after you close? We do not offer after hours pick up or drop off for multiple reasons: We have minimal staffing after hours and have enough staff to tend to the dogs but not customers; this represents a security issue for staff and the dogs. We have found that no matter how long we are open we would always have a customer whose drop off or pick up time would be outside our operating hours. For this reason we recommend that customers who find their drop off or pick up times outside our operating hours plan on dropping their dogs off the evening before or pick up the next day. We have one exception: we are available limited hours on Sunday for pick up and drop off of boarders only. We are not open for any other services. 6:30am – 6:30pm Mon. – Fri. 9:00am – 4pm Sat. Closed – Sunday except for boarding pick up and drop off from 9:00am – 4:00pm. Call 508-210-2704 when you arrive at the facility to be let in on Sundays. Tours are given at 11am and at 2pm on Saturdays. Please arrive approx. 5 min. prior as tours begin promptly at 11am and 2pm. We do not give tours during the week because strange people in the daycare area create a disruption jeopardizing staff and dog safety and there are a lot more dogs in our pack during the week. My dog cannot have one of the vaccines you require, can my dog still attend any of your services? The answer to this varies from case to case depending on the circumstances and the shot in question. For example, we require the Leptospirosis vaccine. If your vet feels this shot is contraindicated for your dog then we will accept a letter from your vet stating this. We would not accept a dog if the only reason for not getting the shot was owner preference or a written agreement with a breeder. We also always require the Bordetella vaccine without any exceptions. I only wish to use your grooming services why do you require that my dog has the Kennel Cough vaccine? Kennel Cough (Bordetella) is an airborne illness. The risk for kennel cough is always higher wherever dogs are present and the more dogs the higher the risk. Since our facility has a large number of dogs on a daily basis we require the vaccine to protect all dogs entering our facility. This decision was made after consulting multiple veterinarians in the area who all agreed that all grooming salons should require the vaccination. Do you prohibit certain breeds (Pit bulls, Rottweiler, Dobermans, etc.) from attending services at your facility? We do not engage in breed prejudice and find problem dogs are not isolated to only certain breeds. A dog should be deemed vicious when they engage in vicious behavior not because they look a certain way. Every dog has their own personality regardless of their breed. I noticed the staff don’t interact or constantly pet/hold my dog while in daycare. Why is this? 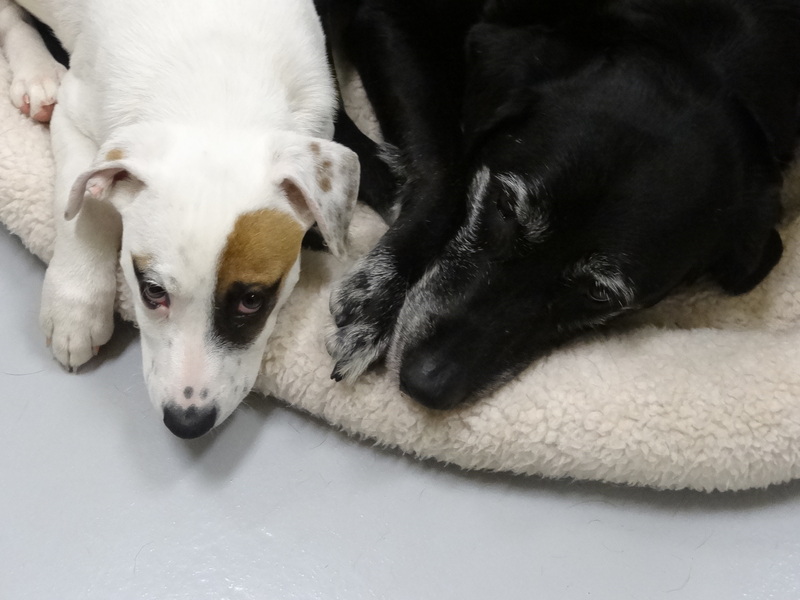 Daycare is very much focused on making sure your dog can develop their social skills with other dogs, have an outlet for energy, and learn to trust the handlers working with them. We do not constantly pet or play with the dogs in daycare to avoid competition for attention and to allow the dogs to interact with others at their own pace. The humans are there as play monitors to make sure your dog’s experience is pleasant and safe. 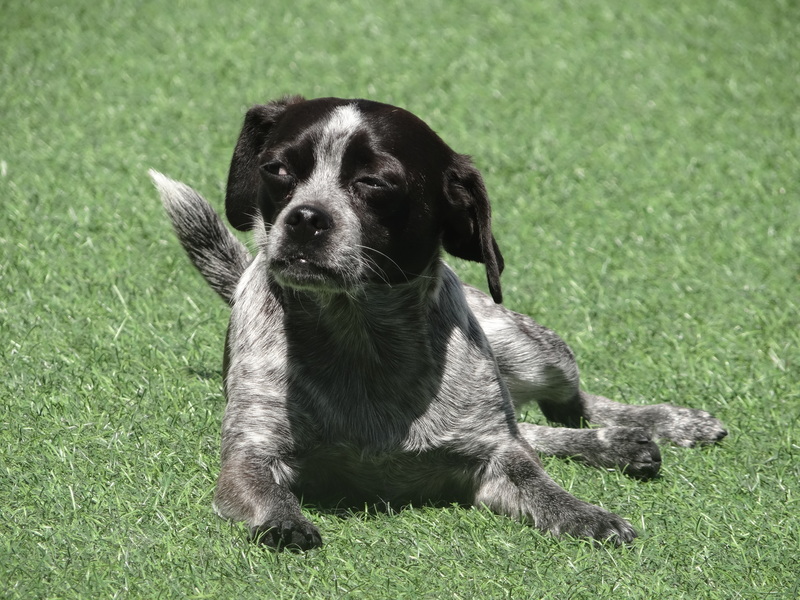 If your dog is shy or new to daycare, we give them space to adapt to the new experience naturally so when they are ready to play and interact it isn’t a forced experience. Why does my dog seem so thirsty after I pick them up from boarding/daycare? Every dog who visits Waggerz’ Lounge has access to water at all times of the day. This includes when they are out in daycare, or spending the night. Many times when you reunite with your dog after being away they can get very excited, bouncy, and overstimulated causing them to be extra thirsty when they get home. Also, if your dog is active in daycare it can be a very physical workout. Just like people, they need more water the more active they are. What happens if my dog(s) attack or bite a dog or a person while attending services at your facility? Even though they will not be present to supervise their dog(s), (the Owner) is responsible for the actions of their dog(s) at all times and acknowledges that they (the Owner) are bringing their dog(s) to Waggerz’ Lounge for the purpose of interacting / playing with other dogs, off leash in an open area (uncaged) and want their dog(s) to play / interact with other dogs in an open environment. Dogs have their leashes removed immediately upon arriving (removing human control). Dogs interact with one another in their own social group with their own rules. Most of the time dogs play together well. Owners must acknowledge that occasionally those interactions result in rough play or fights causing injuries such as bites, punctures, lacerations, orthopedic injuries, infections, illnesses, or possibly even death if a dog is very sick or elderly. Waggerz’ Lounge supervises its dog guests but cannot completely control / predict their behavior or guarantee they will suffer no harm / injuries. Dogs may even suffer harm as the result of aggressive, rough or vigorous play. All dog owners must recognize that these incidents are always a possibility, just like human children playing. Owners should be aware they are responsible for any and all damage their dog(s) cause to other dogs, the facility, staff members, customers, or anything else while in the facility. It’s not uncommon for a pet to lose some weight while staying in the hotel. Most of the weight loss is due to the excitement of being with other guests and the exercise they receive while playing in our large play areas. Dogs in our care get constant activity which doesn’t always happen at home. In short, dogs will typically burn significantly more calories during their boarding visit than they normally do. Stress may take a toll on a dog’s appetite. A new environment can play a major role. It is common for a dog to not eat for several days because they are in a new place or their owners are gone. It is not possible to force a dog to eat or drink in a boarding environment.